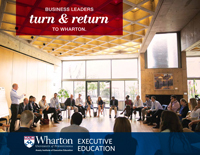 Dr. Carmen Guerra had a specific goal in mind when she signed up for Wharton’s Strategic Persuasion Workshop. She needed to convince doctors and other practitioners at the Abramson Cancer Center at the University of Pennsylvania to adopt solutions to a serious healthcare issue. But, as an MD herself, Guerra is all too familiar with physician training — training that rarely includes a focus on solving “bigger picture” issues. And without a buy-in from those on the front lines of health care, her goal of reducing racial disparities in oncology had little chance of succeeding. She knew she needed to persuade them to adopt solutions rather than trying to force the issue. Using what she learned in the program, she first identified the barriers to persuasion: beliefs, relationship, interest, credibility, and communication channel (or BRICC). She developed a presentation that spelled out each barrier in detail, including the fact that individuals are more likely to be persuaded if they have a vested interest in the outcome. She offered some potential practitioner interests, and explained how they should be communicated by people the providers have a positive, trusting relationship with. Guerra then laid out a series of action steps to help get as many practitioners on board with the change as possible. She explained how early adopters could become promoters, and that there would inevitably be a few who would only be persuaded once everyone else had made the change. Sometimes trying to convince “laggards,” she suggested, is a waste of time because they are against change. Her well-organized pitch worked exactly as she intended it to. “The following week I got several emails informing me that the Chief Administrative Officer of the cancer service line requested that I give the presentation again to other stakeholders. We are now going to implement it. “You can read about these concepts,” she says, “but the program helps you experience them. 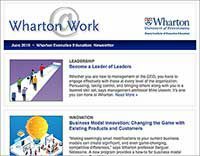 [Faculty and learning directors] Richard Shell and Mario Moussa have you put them right to work. You leave with new tools and you know how to apply them.